There are many places to start alloy Chusovaya most popular places - Fighters Kourovka, Chusovoi Martyanova. Just rafters like to take the route along the river Serebryanka Ermak, which flows into the river Chusovaya and Mezhevaya Utka. Complete alloy is generally in Ust-Utka, Kyn, Verkhnyaya Oslyanka or in Chusovoi. The river abounds with rocky beaches that attract tourists. The village is located Kharenki giving many famous people of the Sverdlovsk region, for example the former governor of Sverdlovsk Region Eduard Rossel. Occurs exclusively in the territory of the Republic of Bashkortostan, a Beloretsk Sermenevo, Kaga, Meleuz, Salavat Ishimbay, Sterlitamak Tolbazy, Bulgakov, Ufa, Blagoveshchensk, Birsk, Dyurtyuli. It flows into the Kama River, in the Lower Kama Reservoir. The length of the river - 1420 km. 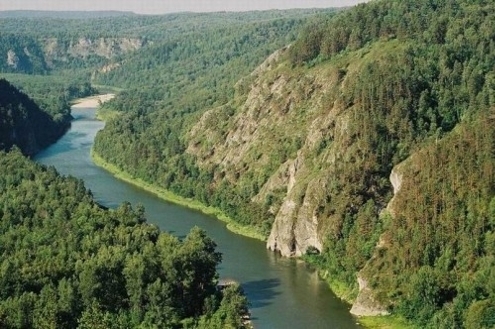 In the upper Agidel mountain river, after the confluence with the Ufa near the town of the same name, is a typical lowland river, suitable for shipping. A popular route for alloys and composite hiking to visiting caves, including the most famous Shulgan-Tash (Kapova cave). 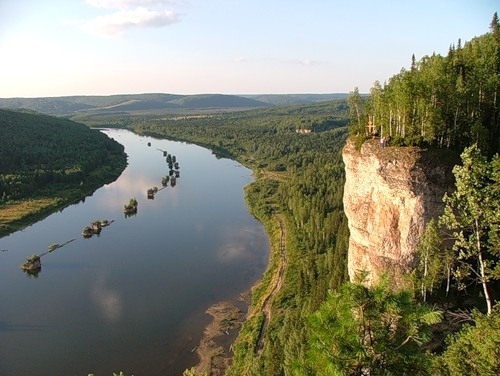 One of the most picturesque rivers Ural originates in Vishera Reserve, west of the Ural Mountains. Its length - 415 km. In the upper - the fast-flowing river with lots of rapids and flows into the surrounding mountain ranges. The middle part of Vishery from Ulsan to Colva, a wider (up to 150 meters), but still a mountain river. The lower part of Vishery, from the place where it flows into Colva and to Kama - flat calm and wide river, overflowing in places up to 900 meters. 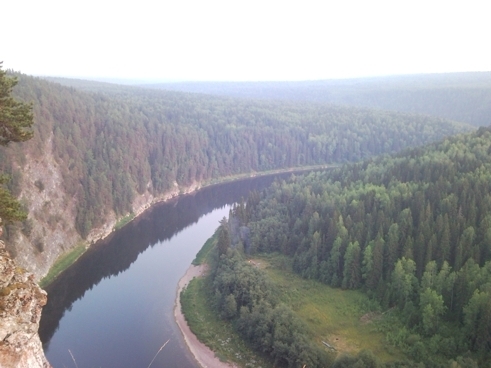 In Vishera and its tributaries inhabited by grayling, burbot, char, studding, trout. 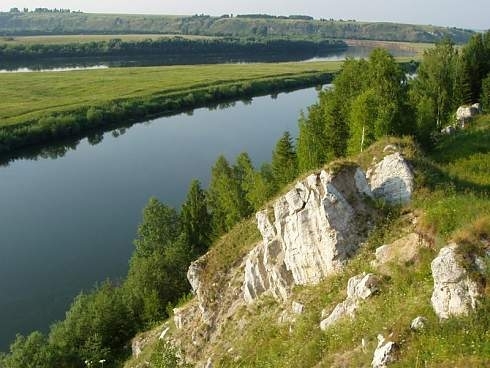 The total length of the river Yuryuzan - 285 kilometers. 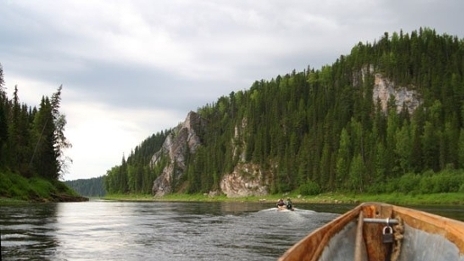 On the river are the major cities of Chelyabinsk region Yuryuzan, Trehgornyi, Ust-kata. In Bashkiria large settlements in the area of the river there. On the river, in the district of Bashkortostan Salavat, a resort Yangan Tau, which is known for its mineral water source "Kurgazak." It originates on the eastern slope of the ridge Poyasovy Stone in the Northern Urals. Flows south-east through the swamps of the West Siberian Plain. The river is typically mountainous character with rapids, alternating with stretches and yamami.Pitanie mixed, with a predominance of snow. Average water consumption of 187 km. from the mouth of about 70 m / s. Freezes in October - early November, opened in late April - early May. Alloy usually begin from towns and Burmantovo Horpiya, but you can go from the most Auspii. It is also in demand combined alloys: Vizhay-Lozvy, Sev.Toshemka-Lozvy. The route passes through the Chelyabinsk region and Bashkortostan. 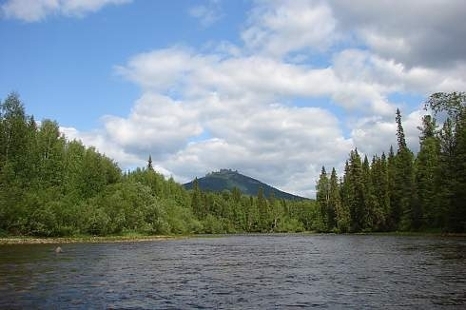 Ah, left tributary of the Ufa, originates in the mountain saddle between the Ural mountain range and Urenga Awale, at an altitude of about 1000 meters above sea level. The river is 549 km, the flow rate above Chrysostom 12-15 km / h, in the lower reaches - 6.5 km / hour. The route starts from the station Kusinsk railway line Chusovskaya tank, located at the confluence of the Coosa River Ai. Length of 493 km. It originates on the western slope of the Middle Urals, flows mainly to the west. It flows into the Gulf of Chusovskoy Kama Reservoir. Freezes in late October - early November, characterized by ice jams, opened the second half of April. The route starts village Schall, the end - with. Targovishte. 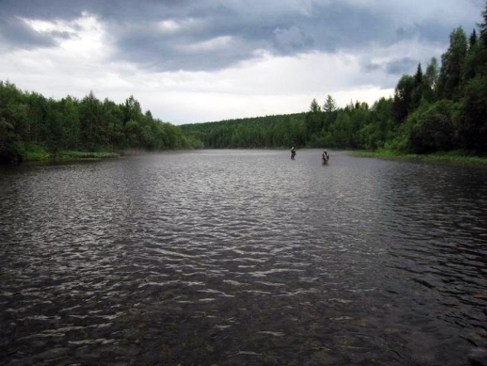 River opened the first of all the other rivers of the Perm region. When the alloy by Sylva have the opportunity to visit the legendary Kungur ice cave and ancient Suksun. 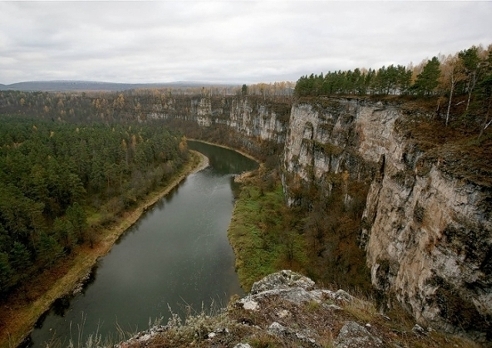 Vizhay River - originates on the slopes of Mount Vizhaysky stone in the mining industrial district of the Perm region. Vizhay River is a tributary of the River Vilva. The river is 125 km, with an average slope of 2.2 meters to 1 km. The catchment area of 1,080 square meters. kilometers. On the Permian Komi word Vizhay means: "Tower" - a saint, "ai" - his father. Rafting on Vizhay generally begin in the village barn, Gornozavodsky district of the Perm Territory, the end point of the route is a bridge over the river Vilva. The distance of 110 km. The main attractions that you can see during rafting Vizhay include: rock climber, Pashiysky nip Pashiysky cave. 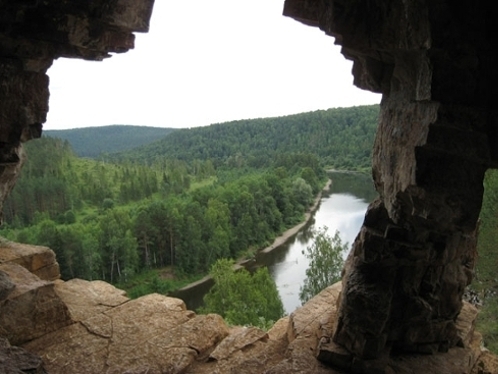 Close left tributary Vishera, is in the Northern Urals. Vels source lies in the Vishera reserve, on the eastern slope of the mountain Isher. Vels River 113 kilometers in length, the river is wide enough in places up to 100 meters. Vels for a quick, but the river is shallow, a lot of rapids. In some places it seems that the entire river - a continuous roll. Vels on many islands, but these beautiful rocks, the river is famous for what Vischera and river Berezovaya. The course is fast, the character of the river - the mountain. For a long time a very beautiful view on the ridge Marty. Vels meandering riverbed, the banks are low. The next influx of Vels - Posmak River, which flows into Vels also left. After the confluence Posmaka, Vels River abounds large boulders on the banks of the river beautiful little rock. After 21 kilometers after the confluence Posmaka in Vels runs another big left tributary - the river Chural (Churol). At this point, on the opposite (right) side of the hut is Vels. 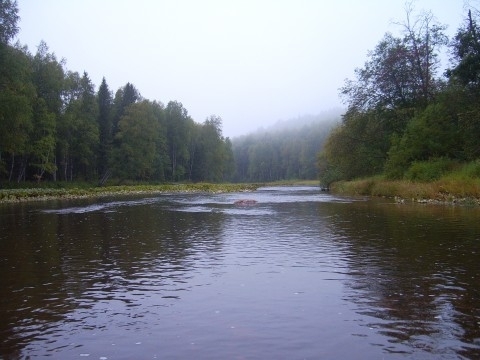 The river in the Republic of Komi, the right tributary of the Pechora River. It originates in the western spur of the Northern Urals out of the swamp at the foot of the ridge Timaiz. Length of 411 km. Meals snow and rain. The banks are low, sinuous channel. Ilych is connected to the Pechora near the village of Ust-Ilych. Along the left side of the river is the Pechora-Ilych Nature Reserve.